One of the strangest aspects of human history is the fact that periodically groups on the margins seem to rise to the fore and enter into a phase of rapid expansion into virgin territory. By “virgin” I don’t necessarily mean uninhabited, but rather virgin in relation to the mode of production which defines the expansionary group. A classic illustration by this is the rise of the Anglo-Saxon Diaspora between 1600 and 1900, as it settled territories inhabited by other populations at much lower population densities. The Bantu Expansion is another case in point. What you see in both cases is the migration of a population which has found a way to produce more calories per unit of land, and the weight of numbers resulted in the marginalization and/or absorption of the native populations, to varying degrees. In the Anglo North America and Oceania the admixture of indigenous ancestry is relatively low, at least into European populations. In East and Southern Africa the admixture of non-Bantu populations is definitely somewhat higher. This dynamic has old roots in our lineage. It goes back at least to the rise of modern humanity on the fringe of Africa 50 to 100 thousand years ago, and its subsequent expansion across the world (with some assimilation of older hominin lineages). 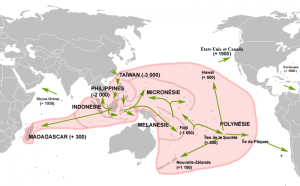 A more recent case is the Austronesian expansion out of Taiwan, which encompasses a longitudinal gradient from East Africa all the way to South America, and a latitudinal one from Hawaii to New Zealand. Even today I suspect people would be impressed by this, but it is all the more amazing when you observe that modern humans seem to have stabilized their range in Near Oceania for ~30,000 years. Unlike the “first farmers” of the Middle East the expansion of the Austronesians had less to do with a mode of production, than pioneering navigational skills and a lack of all sanity and rationality when it came to venturing across great expanses of water. Turchin, Peter, et al. “War, space, and the evolution of Old World complex societies.” Proceedings of the National Academy of Sciences 110.41 (2013): 16384-16389. Last week I had the pleasure of meeting Peter Turchin* and Peter Richerson, among others. Many things were discussed, but one the conversation brought me back to the results of Peter Turchin’s paper from last year, War, space, and the evolution of Old World complex societies. If you haven’t checked out the paper the figure to the right shows the major result: a model with only a few simple parameters was incredibly good at fitting the genuine growth and evolution of complex societies over 3,000 years. More quantitatively about two thirds of the variation spatially in ‘imperial density’ can be accounted for by the spread and emergence of military technology and the ruggedness of the landscape. Of course there are many objections you could make, and when Peter Turchin presented the map to the audience many people brought up areas where the model didn’t seem to be predicting very well. 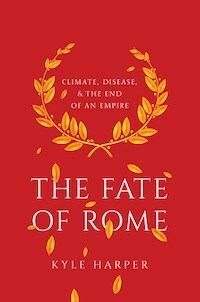 But, the very obvious take-home is that somehow a model with only a few parameters ended up doing a reasonable job predicting the distribution of the rise of empire in agricultural societies, and that’s something. You can have all the verbal models you want, but all that leads to in most cases is more argument, as you don’t have transparent access to the internal logic of someone else’s mind. A second broader issue that Turchin has promoted is the idea of inter-group competition driving the rise of ultrasociality. In other words, cooperative societies stocked with highly social and altruistic individuals simply eliminated earlier forms of social organization which relied more on individual self interest. He is keen to not allow the argument to reduce down to ‘group selection,’ but rather to focus on the abstraction of multi-level selection more generally. Conflict and warfare are obviously key drivers of this culturally Darwinian process. But I wonder where that leaves us at the end of history? Perhaps without an external threat imposing cohesion and inducing norms to regulate and punish selfish strategies anomie will reign? Weekend at the pool with my daughter. Will post my thoughts re: BAPGX soon, but until then check out Melissa Wilson-Sayres Storify. Over at Violent Metaphors Jennifer Raff has another review of A Troublesome Inheritance, this time focusing Nicholas Wades’ interpretation of population genomics. 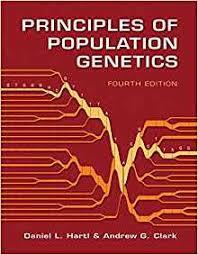 I don’t want to be cliche, but if there’s one thing to like about Wade’s book it’s that lots of people are talking about human population genetics. Then again, if there’s one thing to not like about Wade’s book it’s that lots of people are talking about things that they don’t grasp in much detail, and confusing the issues. Jennifer obviously knows quite a bit about the population genomics, but I’ll be frank in suspecting that some of her fans who are praising her to the heavens find her conclusions congenial, and can’t really follow the technical details she’s fleshing out. They trust her, and that’s an acceptable position. More concretely she implies that model-based clustering (e.g., Structure, Admixture, and Frappe) will naturally produce a set of individuals composed as a combination of K ancestral populations. There’s nothing privileged about a particular K. But there are ways to more formally establish which K is the best “fit” to the data. Rather than talking I’ve set Admixture to run some HapMap data and will check the cross-validation results to get a sense of which K values are most reasonable. I could say much more, but I’m getting bored with this interminable debate. I’ll focus on one aspect of Jennifer’s exposition: that human genetic variation is clinal. This is a defensible position, and may even be a majority position among population geneticists. But I no longer believe one can take this at face value as the null model that can be used to dismiss ideas such as discrete racial categories. The clinal expectation is predicated on an isolation by distance dynamic. As a rough stylized model you can see the schematic above, which shows three lineages separated by geography and exchanging genes continuously over time. This certainly applies across broad swaths of the world, but there are in fact sharp discontinuities in regions just where traditional racial boundaries are often asserted. For example genetic variation across distance increases sharply at the Himalaya mountain range. 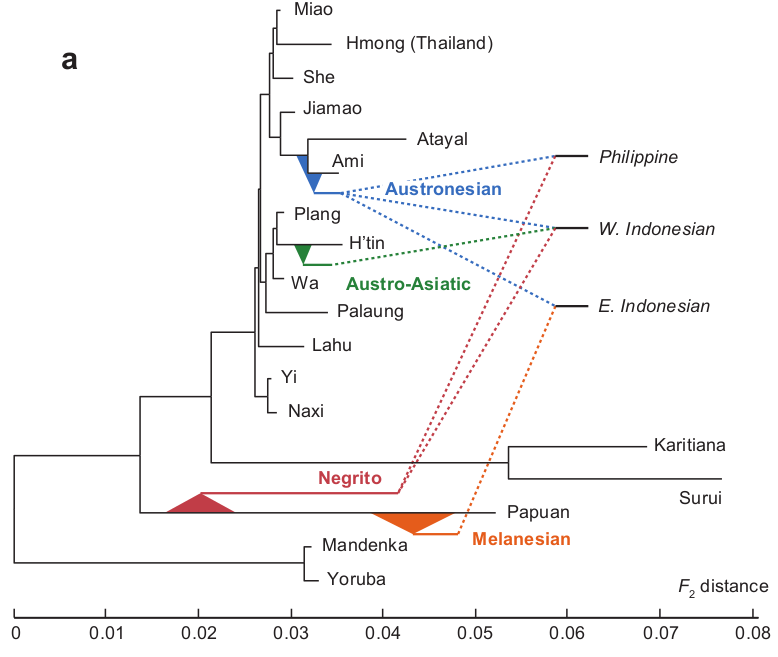 Obviously there is admixture across East and South Asia (10-15% of my own genome is East Asian, and I’m South Asian), but the people of South Asia on the whole exhibit greater affinities to Europeans than they do to East Asians. This does not mean isolation by distance is useless; in fact it shows the importance of geography and how it can force isolation by distance to modulate. When, how, and why, different lineages of the tree of life diverged has long been a preoccupation of evolutionary science. Now one must add to that a caveat that it seems a great deal of the story also has to do with the entanglement of branches which were long separated. 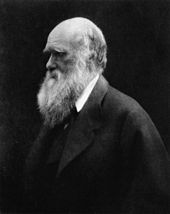 Paleontology has looked at the macroevolutionary patterns, and attempted to move from description to formal models which scaffold the long progress of natural history. Phylogenetics has painted the branches of the tree in loving detail, and attempted to infer patterns from the shape and pulses of the diversification. Population genetics has focused upon the microevolutionary parameters which shape the flux of the genetic makeup of particular lineages; drift, mutation, and selection. Now you have new fields such as population genomics, which fuse 21st technologies with the questions and theoretical machinery of 20th century disciplines (in this case, population genetics, just as phylogenomics is an extension of phylogenetics). Liu, Shiping, et al. “Population Genomics Reveal Recent Speciation and Rapid Evolutionary Adaptation in Polar Bears.” Cell 157.4 (2014): 785-794. Because of the monetary investment by organizations such as the NIH (among other factors) the -omics revolution has hit Homo sapiens first. But it is moving on, and that is important, because evolutionary science really can’t constrain itself purely to the human domain. Ultimate questions such as why there are so many species requires actually surveying the nature of variation in the world out there. Nevertheless, currently most of the post-human work seems to be occurring in the classical ‘model organisms’ (e.g., Drosophila), or charismatic creatures, especially big mammals. 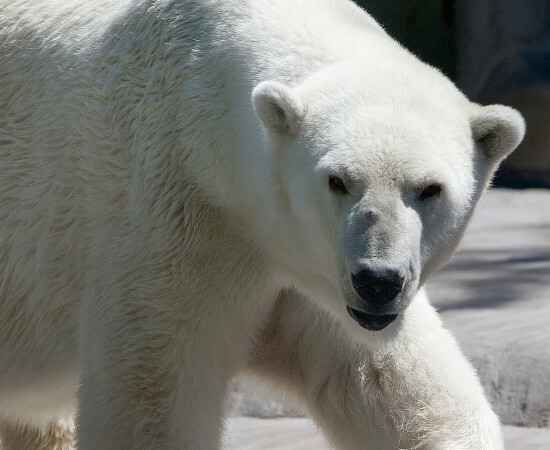 A new paper in Cell, of all journals, is in the second class, Population Genomics Reveal Recent Speciation and Rapid Evolutionary Adaptation in Polar Bears. 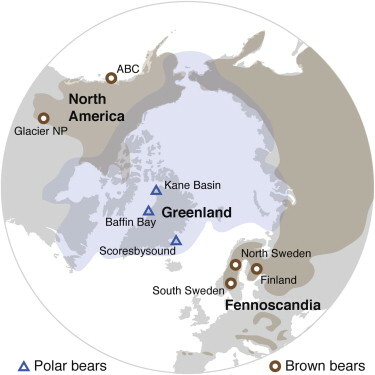 As you can infer from the title the paper looks at both the phylogenetic history of polar and brown bears, as well as the evolutionary genetic functional differences between the two distinct lineages. As you can see their sampling coverage was limited to particular populations, which is reasonable in light of finite sequencing resources. They had 10 brown bears and 79 polar bears, with good coverage on a lot of them (~30x not atypical). The inferences necessarily derive from these populations, though they admit in the text you can only go so far with their limited geographic coverage. There’s been a lot of discussion over the past few days about “trigger warnings” because of a piece in The New York Times, Warning: The Literary Canon Could Make Students Squirm. The basic idea is that texts might traumatize students who have been subject to abuse, etc., in the past. There are obviously cases where people who have been through difficulties may need to not be exposed to certain material, but many people suggest that this is infantilizing university students. I agree. But trigger is just a new word for something that’s been around a long time. Universities such as Brigham Young or Bob Jones exist to some extent to buffer their charges against a world which might assault them with uncomfortable questions, and reinforce a particular set of values. The right to not be “hurt” in an emotional sense is ancient. Ten years ago Sikhs rioted in England because of the production of a play that offended and hurt their religious sensibilities. In the Islamic world and South Asia there is an explicit public norm that religious feelings should not be offended. “Trigger warnings” as they are currently being envisaged in their broad and expansive sense just resurrect the idea of blaspheming norms. The new is always old. Kevin Drum’s mild critique of triggering could be about Christian colleges. One of the issues that comes up over and over again is the assertion that folk racial categories are totally useless in terms of taxonomic utility. This is just plain false. Obviously “folk” anything is usually inferior to a scientific form of analysis, but often they are better than nothing. And so it is with folk racial categories. The dichotomy between white European and non-European in a racial sense is a rather new feature of Western history due to the peak of white supremacy ~1900 A.D. The division has persisted as paradigmatic in a particular type of Left-wing post-colonial type common on college campuses. But a rough & ready understanding of human populations as divided on a continental and ecological basis is as old as the ancient Egyptians, who perceived differences in populations in a color coded sense (e.g., they were red, West Asians were yellow, Nubians were black, etc.). The ancient Greeks were even sophisticated enough to distinguish the phenotypes of North and South Indians (the former rather like Egyptians, the latter more similar to Ethiopians except in the texture of their hair). Some aspects of homogamy are well understood. 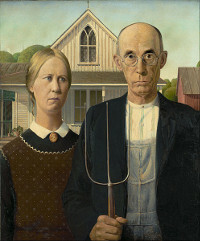 People of the same race, social status, and religion, tend to assort together, and eventually marry. A new paper in PNAS reports results which suggest that there is an elevated relatedness between spouses even among non-Hispanic whites. The paper is Genetic and educational assortative mating among US adults. One of the key findings is that within its demographic of non-Hispanic whites educational assortment dwarfs genetic assortment. * That shouldn’t be surprising, and educational attainment is a major filter in terms of ‘suitable’ spouse material. At this point I’m assuming most readers are wondering what the surprise is: non-Hispanic whites are not ethnically or socially homogeneous. So the genetic relatedness might simply be due to regional and cultural variation which exhibits genetic correlation. The authors attempted to ‘control’ for this by only looking at people from a particular region, filtering out population structure by looking at PCA plots to generate homogeneous samples, and looking at SNPs which were not found to be informative in terms of population structure. I’m not sure I’m totally convinced by these measures, though they are stabs at the problem. I think the ultimate issue here is that social and cultural structure among white Americans has been understudied, so we don’t have much of a sociological scaffold for the extent to which lineage networks in the United States may be relatively exclusive. * The authors used the KING software package to assess kinship. I’ve found it to be a decent package myself when I’ve used it, if a little bare bones. Probably going to take a reader survey soon. Seems like I’ll have to build up a ‘casual’ reader base again since I moved from Discover, though the core has stayed…. This is what I also claimed, and of course got slammed by the race-denialists who are motivated largely by politics. To a biologist, races are simply genetically differentiated populations, and human populations are genetically differentiated. Although it’s a subjective exercise to say how many races there are, human genetic differentiation seems to cluster largely by continent, as you’d expect if that differentiation evolved in allopatry.